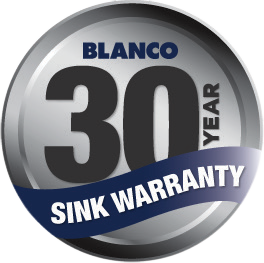 The SUBLINE500IFWK5 is a Single Bowl Inset/Flushmount Sink from Blanco. The appeal of an exquisite combination. A symbiosis that delights more than just the eye: naturally appealing SILGRANIT PuraDur combined with sleek stainless steel. ‘SteelFrame’ stands for the exceptional material mix of granite and stainless steel thus forming a perfectly matching unit. As such, the SILGRANIT bowl with its pleasant, silky-stone texture has an extra-flat, modern stainless steel frame and ideally showcases the innovative material mix. The SUBLINE500IF SteelFrame with its highly sophisticated technical implementation has a thoroughly filigree look. The exceptional material combination of the BLANCO SUBLINE500IF SteelFrame matches the aesthetics of BLANCO ovens, cooktops and mixer taps. 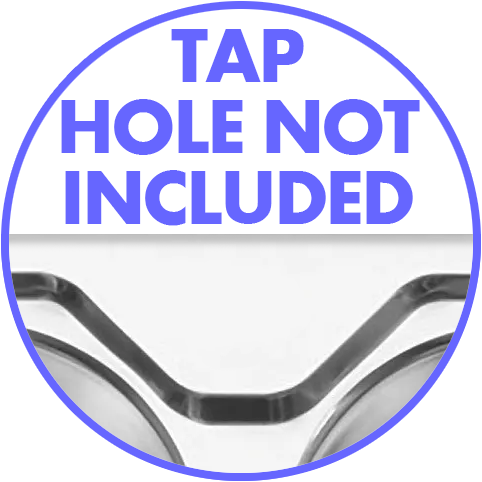 The new outstanding properties and the advanced material technology of SILGRANIT PuraDur provides a composite sink which is exceptionally easier to care for than ever before. BLANCO holds nine exclusive patents for SILGRANIT PuraDur, which makes this material the only one of its kind in the world. SILGRANIT PuraDur consists of 80% granite, which makes it unbeatably resiliant, extremely durable, scratch proof, heat resistant, unbreakable and acid resistant. Further confirmation of the outstanding properties of SILGRANIT PuraDur comes in the form of 3 quality certificates from the LGA Nüremberg, an independent, internationally recognised institute.